We will be using a sewing machine for this workshop. 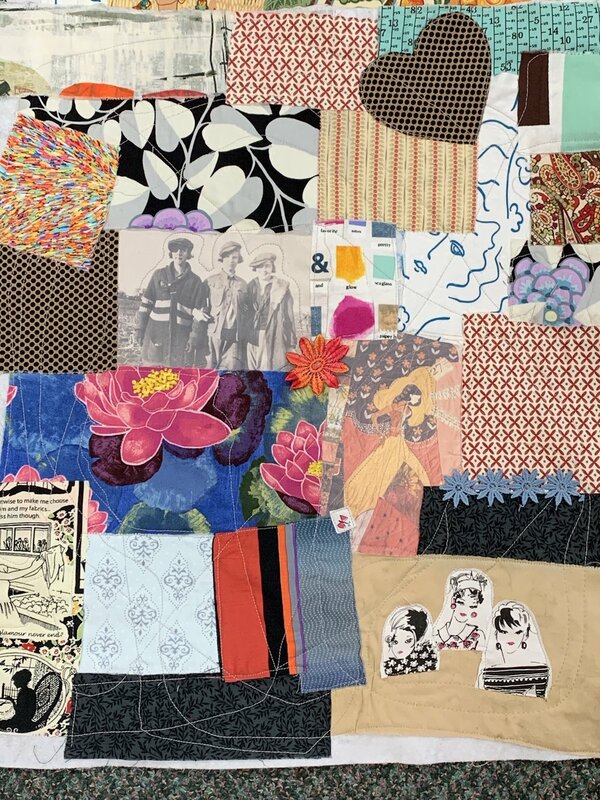 Using a touch of improvisation, much like scrap-booking, centered around a theme of your choice, we will use embellishments, textiles and/or other mementos, to create a cherished heirloom. 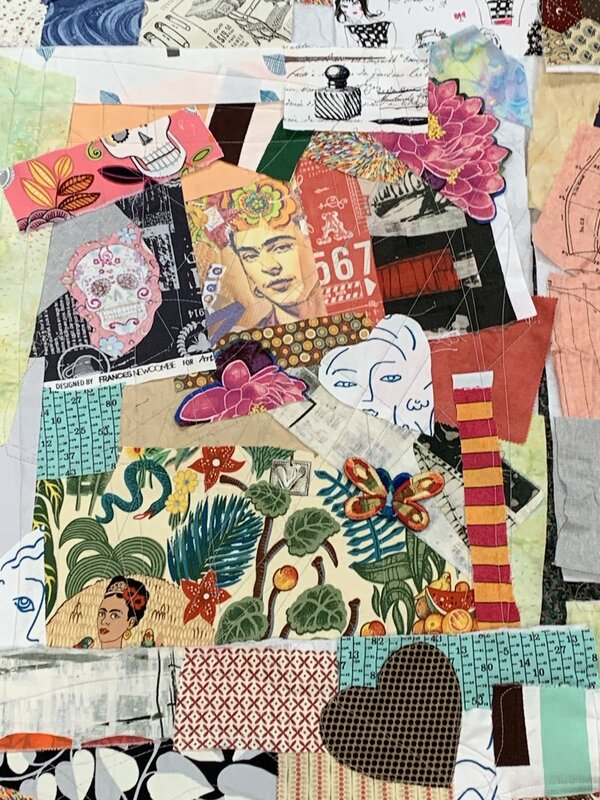 I began my sewing journey creating collages or tapestries after attempting to scrapbook with paper, and still find it my preferred mode of creativity; it is a freeing and inclusive sewing practice for all skill levels. 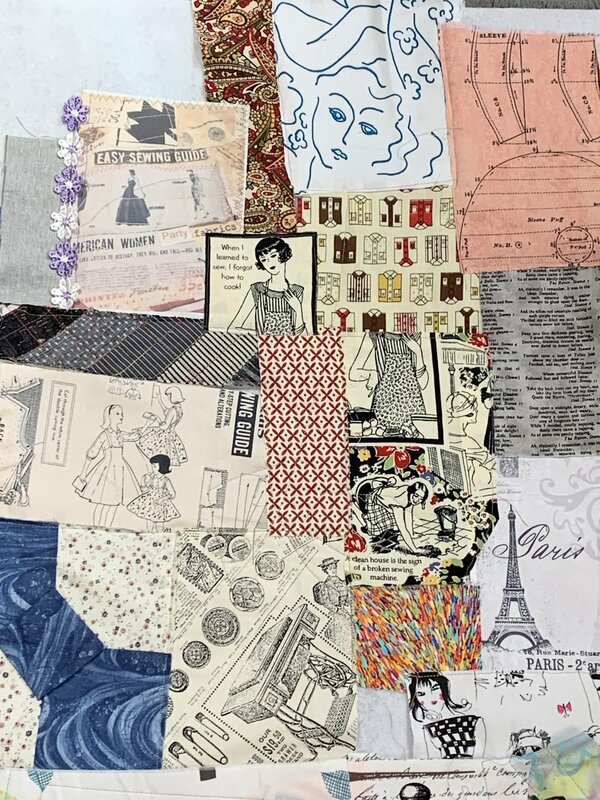 Using a touch of improvisation, much like scrap-booking, centered around a theme, we will use embellishments, textiles, printed photo fabric and/or other mementos, to create a cherished Art Quilt tapestry. 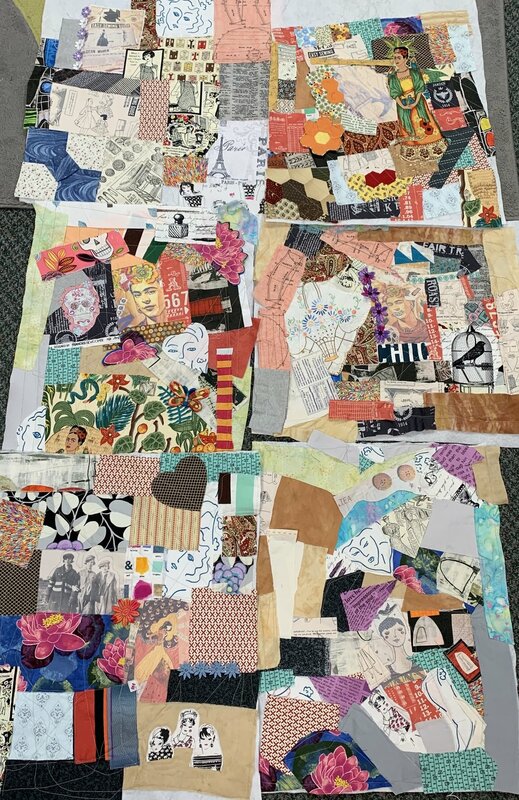 Every art quilt created during the workshop will be unique to it’s maker’s vision just like the page of a personal journal. Use of a sewing machine included with your class. All supplies will be provided.